Long time no review! Let’s link up with What We’re Reading Wednesday over at Jessica’s Housewifespice Place. 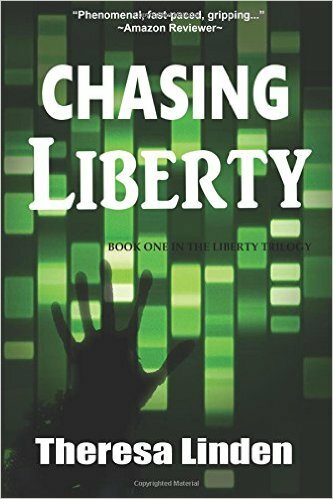 I’ve had it for months, now, but I finally got around to Chasing Liberty by Theresa Linden. Once I got started, it didn’t take me long to finish it, either. If you’re looking for characters you can love, love to hate, or hate to pity… you’ll find them in Chasing Liberty. Liberty 554-062466-84 of Aldonia lives in a responsible society that cares for the earth and everyone on it. They have learned to balance resource consumption with replacement initiatives, unavoidable pollution with clean-environment efforts. Science ensures that every baby born is healthy. The government ensures that every baby born is needed. All are cared for, taught, and given a specific duty to perform, their unique contribution to society. Why is Liberty so unsatisfied? In less than two weeks, Liberty must begin her vocation. Every girl in Aldonia wishes she had Liberty’s vocation. Liberty would rather flee from Aldonia and live on her own, independent of the all-controlling government, the Regimen Custodia Terra. The high electrical Boundary Fence crushes any thought of escape. The ID implant imbedded in her hand makes it impossible to hide. She has no choice but to submit. Liberty is slated to be a Breeder. As vocation day draws near, a man with an obsession for Liberty attacks her and injects her with a drug. 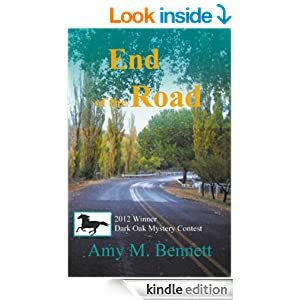 She’s about to lose consciousness when someone comes to her rescue, a man in a mottled cape and dark glasses. She wakes in an underground facility where people watch over Aldonia with an array of monitors and surveillance equipment. 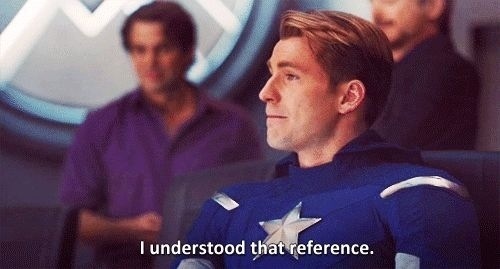 These people are full of secrets, but she discovers one thing: they rescue a man scheduled for re-education. They rescued him. They can rescue her. 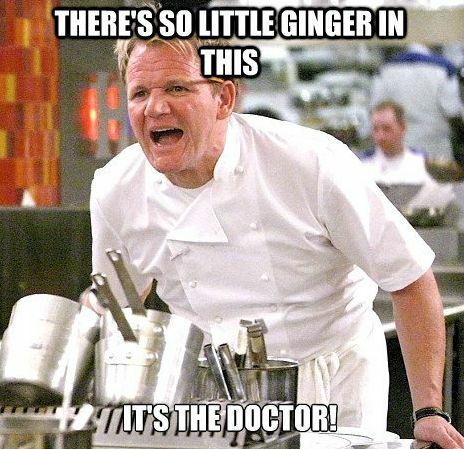 I love how Linden handles the suspense in this one. She knows how to end a chapter, that’s for sure. She also has a good hand with the dramatic irony, which uses the two points of view (first-person Liberty vs. 3rd person subjective with the bad guy) to play off of each other, one cranking up the tension on the other in one scene, and then vice-versa in the next. Another thing the author handled well was the Liberty’s motivation for putting into action the final sequences, hurtling the characters into their point-of-no-return. I was not left wanting for why things were happening, but neither were things ever dragged out. The conflicts were clear and engaging. The numerous characters were so clearly drawn that I never felt there were too many, which is a hard thing to manage. Kudos to Theresa Linden for Chasing Liberty. I can’t wait to get my hands on the sequel! I’ve asked Theresa for an interview here, so check back for that. In the meantime, go buy her book and you’ll be in for a rip-roaring thrill ride that will rip out your heart and stomp on it! Today’s second book is The Virtuous Jane Austen: Short Reflections on Character by Rhonda Ortiz. What a charming little book! Yet it’s still a bargain at 99 cents. Why? Because it offers something sweet but new. 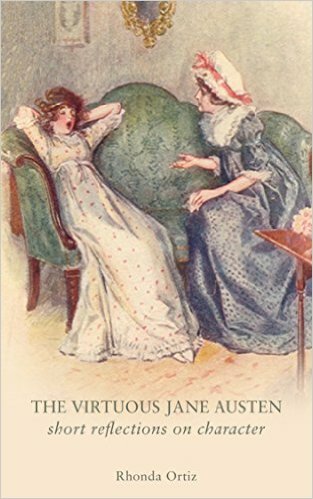 I’ve seen Austen often discussed as a writer of manners, but when seen as a writer illuminating virtue, Austen’s work takes on greater life, depth, and import. Well done! Come back next week when author Rhonda Ortiz shares her own story about character building… through NFP? It’ll make sense next week. 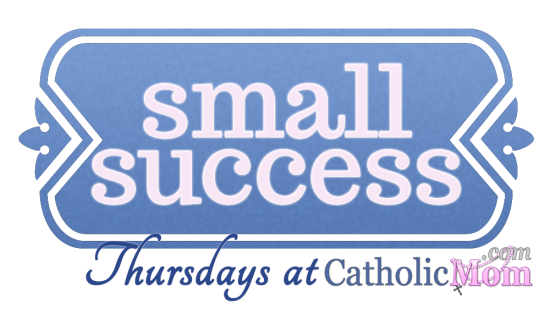 Join me and the rest of the optimists, the hopers of far-flung hopes and the dreamers of improbable dreams over at CatholicMom.com for Small Success Thursday. I’m being interviewed over at CatholicFiction.net! Make with the clicky to read more than you ever wanted to know about me. 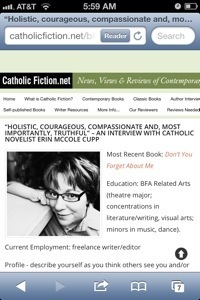 Thank you, CatholicFiction.net, for this opportunity! I don’t have time to post a real review, but we’ll just say I LOVED it. The plot was solid, the acting was spot-on, and… this might sound weird, but it was one of the best scores I’ve heard in a while (that may not be saying much–I don’t get to many movies these days). Anyway, it was the perfect end to the perfect day for a nerdy mom like myself. I took my kids to the pool yesterday and didn’t lose my mind with boredom chasing Second Shift around. Oh, and nobody drowned. I let the older member of First Shift fix Second Shift’s toothbrush. It’s a kiddie spin brush, and fixing it involved using a jeweler’s screwdriver, so this is a big accomplishment for someone with low muscle tone, poor coordination, and resulting generalized anxiety. It’s not my success (well, I guess it is if you count me not doing it for her), but it’s so awesome it’s worth sharing. 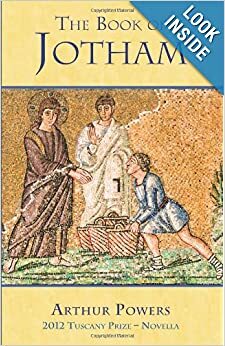 I was blessed and lucky to meet Arthur Powers at the Catholic Writers Guild Live this past August, and I was very happy to pick up a copy of his award-winning The Book of Jotham. I finally snagged a bit of time to read it, and it made for perfect sabbath-day reading. 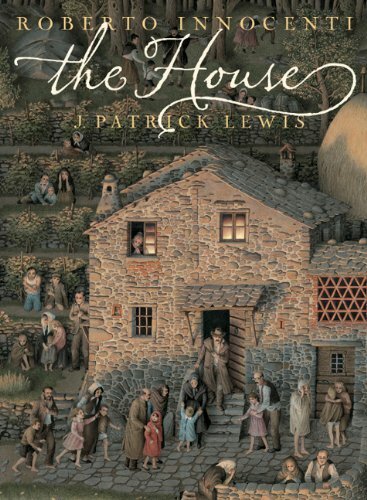 This was a moving book that drew me into an illustration of a concept that is either mocked or championed in our current culture: the value of the “incapable.” With language that manages to be simultaneously both deep and light-handed, Powers paints a picture of both why and how God creates all His children in love, even if we can’t see that same loveability with which He sees us at every moment. If you’re looking for a brief vision to warm your heart towards those you might find yourself holding in any kind of contempt, I recommend you take a look at The Book of Jotham. Attention Web-mart shoppers! Today is commonly called “Cyber Monday,” the sequel to Black Friday. In other words, people are shopping–today, mostly online. If you’re looking to get the reader in your life a little sumpin-sumpin, take a look at the following recommendations below. If they’re helpful, go on over to author Declan Finn’s page, because sharing this kind of list was totally his very brilliant idea. Forgive me for getting myself out of the way first, but for the mystery lover in your life, there’s always Don’t You Forget About Me. 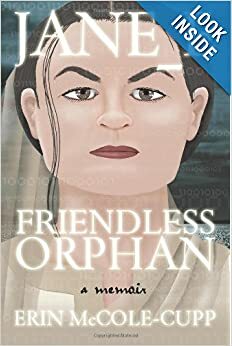 Then there’s Jane_E, Friendless Orphan: A Memoir for the science fiction adventurer on your list. 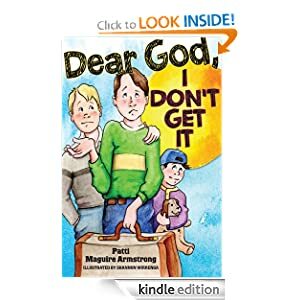 Dear God, I Don’t Get It by Patti Maguire Armstrong. My review is here. Buy the book on Amazon here. The King’s Gambit by John McNichol. My review is here. Buy the book on Amazon here. The Shubert the Firefly series by Dr. Becky A. Bailey, illustrated by James Hrkach. My review is here. Buy the books on Amazon here. Stout Hearts and Whizzing Biscuits: A Patria Novel by Daniel McInerney. My review is here. Buy the book on Amazon here. 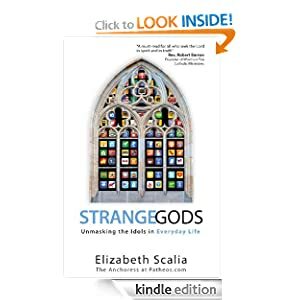 Strange Gods by Elizabeth Scalia. My review is here. Buy the book on Amazon here. Fleeting Glimpses of the Silly, Sentimental and Sublime by Michael Seagriff. My review is here. Buy the book on Amazon here. God’s Bucket List by Teresa Tomeo. My review is here. Buy the book on Amazon here. Cultivating God’s Garden Through Lent by Margaret Rose Realy. My review is here. Buy the book on Amazon here. Race with the Devil by Joseph Pearce. My review is here. Buy the book on Amazon here. Classroom Management for Catechists by Jennifer Fitz. My review is here. Buy the book on Amazon here. Dog in the Gap by Lisa Delay and Doug Jackson. My review is here. Buy the book on Amazon here. Death Panels by Michelle Buckman. My review is here. Buy the book on Amazon here. Bleeder and Viper by John Desjarlais. 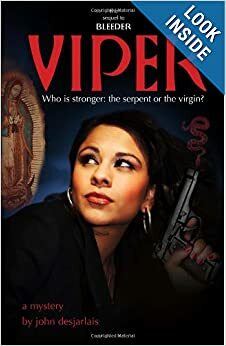 My reviews are here (Bleeder, Viper). Buy the books on Amazon here. Treason by Dena Hunt. My review is here. Buy the book on Amazon here. Murder in the Vatican: The Church Mysteries of Sherlock Holmes by Ann Margaret Lewis. My review is here. Buy the book on Amazon here. Sons of Cain by Val Bianco. My review is here. Buy the book on Amazon here. Stealing Jenny by Ellen Gable. My review is here. Buy the book on Amazon here. Angela’s Song by AnnMarie Creedon. Buy the book (and find my review) on Amazon here. Happy shopping, my Advent-agious peoples! Another chance at free books! Sarah Reinhardt is too good to us. No sooner is the CatholicMom.com giveaway done when everyone’s favorite Snoring Scholar goes and does it again. 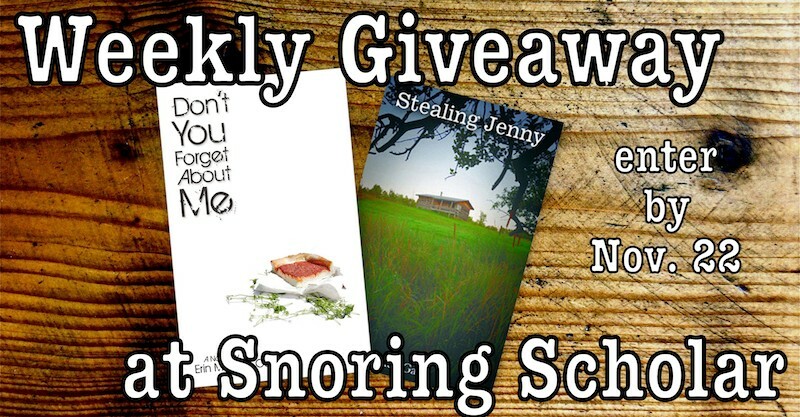 This week’s giveaway is a double-trouble Full Quiver Publishing prize pack, including one paper copy of Stealing Jenny by Ellen Gable paired with a copy of Don’t You Forget About Me by YT. 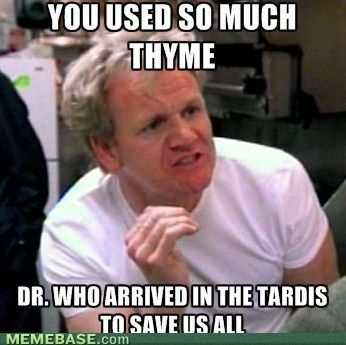 What, you’re still here? You see the banner! Get over there and enter by Novmeber 22! 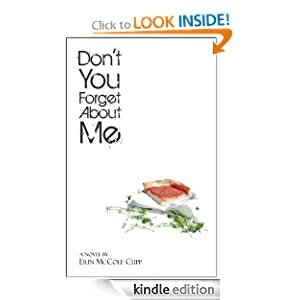 It’s been a busy week here on the Don’t You Forget About Me blog tour. Tuesday I visited Therese Heckenkamp over at her blog, nattering on and on about the Catholic mystery writer. I had a mention over at Catholic Creativity in Fr. Jim Tucker‘s post on “Yes, we need Catholic fiction!” Wish Father well as he and so many others are slogging their way through National Novel Writing Month! Go check out Karina Fabian‘s work as well, who also got some much-deserved kudos on that post by Fr. Jim. Tomorrow is the last day of the DYFAM Goodreads giveaway contest. Tomorrow is also the last day of the CatholicMom.com DYFAM & Angela’s Song giveaway drawing. Speaking of Angela’s Song, when is the last day to get that book free on Kindle? That would be today. Get to clicking! More posts to come next week! I’ve taken the approach to all this that whenever another discomfort, inconvenience, annoyance, or (in the case of the asthma) threat to my life or ability to sleep comes my way, it’s because someone reading the book needs some kind of intercession. So, if that’s been you, please rest assured that I’ve been offering it up for you, whoever you are. I do hope it’s paid off for you! I don’t suffer as gracefully as I wish I did.